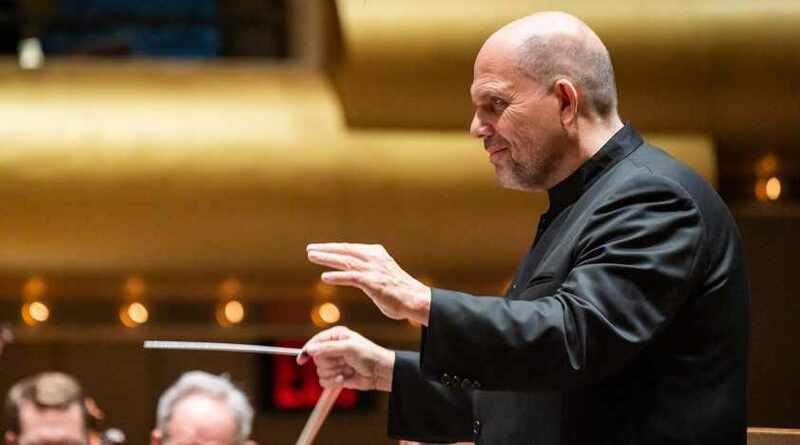 Jaap van Zweden leads Mozart’s Symphony No. 40, one of his magnificent “trilogy” of final symphonies, that speaks in his most personal voice, continuing to have profound emotional impact. Artist-in-Residence Matthias Goerne (“today’s leading interpreter of German art songs” — Chicago Tribune) compellingly interprets beloved songs by Schubert and Richard Strauss. 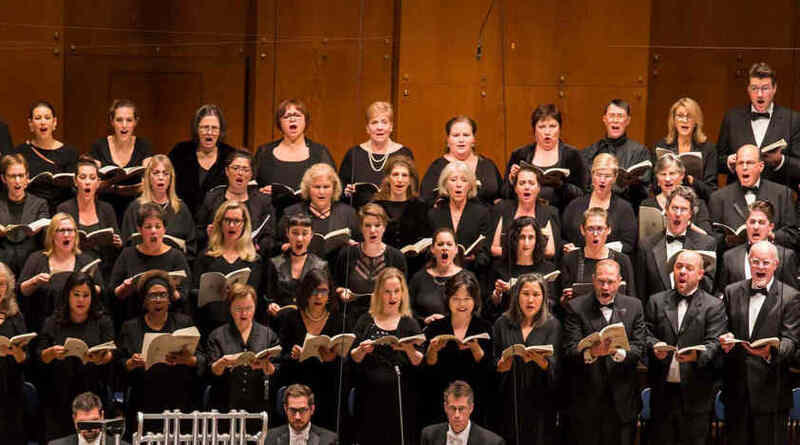 Two of the three selected Richard Strauss (1864–1949) songs presented in this program are from a set of four that he composed in 1894, all presented as a wedding gift to his wife, soprano Pauline de Ahna, when they married that September. Strauss originally composed the quartet of songs for voice and piano, and finally orchestrated them in 1948. The title of first, “Ruhe, meine Seele!,” Op. 27, No. 1, means “Rest, my soul!” and is based on a poem by Karl Henckell. “Cäcilie,” Op. 27, No. 2, is the second in the set, and takes its text from a poem by Heinreich Hart that was written for his wife, the Cäcilie of the title. The third song, “Pilgers Morgenlied,” Op. 33, No. 4 (or “Pilgrim’s Morning Song”), composed in 1896–97, is one of the composer’s few settings of Goethe. The writer had dedicated this poem to Luise Henriette von Ziegler, whom he met in Darmstadt in 1772 and was a lady-in-waiting at court and one of the “sensitive souls” Goethe met in the city. 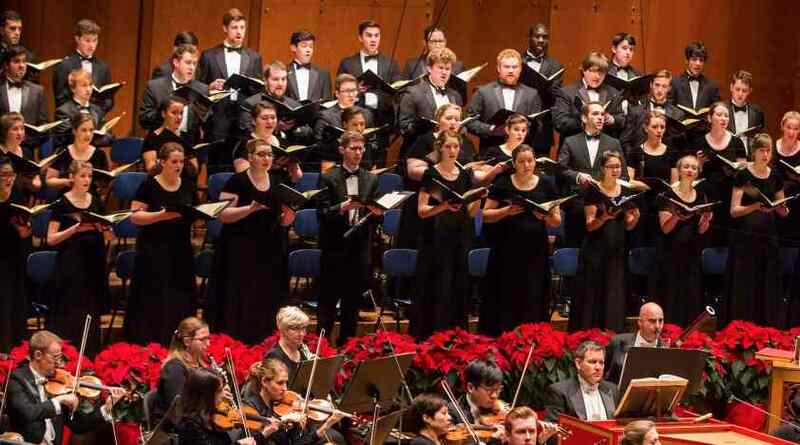 The Philharmonic first performed “Ruhe, meine Seele” in September 1995, featuring Jessye Norman and conducted by Kurt Masur; most recently, Christoph Eschenbach led Barbara Bonney in the song in March 2001. The New York Symphony (a forebear of the New York Philharmonic) presented “Cäcille” for the first time in November 1904 by Etta De Montjau, conducted by Walter Damrosch; Renée Fleming was the Philharmonic’s most recent soloist for the piece, led by Kurt Masur in September 1997. Richard Strauss himself led David Scull Bispham in the Philharmonic’s first presentation of “Pilgers Mogenlied” in March 1904; Mr. Bispham was also soloist for the only other Philharmonic performances of the work, in February 1911, led by Gustav Mahler. In 1788, with Mozart’s career and reputation in decline, his finances in shambles, and with support from noble patrons non-existent, he and his family were forced to move away from the center of Vienna to a cheaper apartment, but one that had a quiet garden attached. (We read heartbreaking letters to his fellow-Mason, Michael Puchberg begging for money.) It was there that Mozart created his three remarkable final symphonies—his “Triple Crown.” He completed the haunting 40th Symphony just one month after his 39th, and the subsequent 41st an astonishing 16 days thereafter. This symphony is one of only two that Mozart composed in a minor key—both in G Minor—with the No. 25 always referred to “The Little G Minor” and the 40th as “The Great G Minor.” Though it has often been suggested that these symphonies were written purely for personal, not practical (i.e., financial) reasons, this has been discounted by some scholars, as has the related notion that they were not performed during the composer’s lifetime. One bit of possible evidence lies in the fact that two versions of the 40th exist: one without, one with clarinets and rewritten oboe parts, indicating that Mozart had, in fact, heard them and rescored them for a second edition. It is possible that he composed them for planned subscription concerts in Vienna (that never took place) and may even have toured them to Germany in 1789. The K. 550 is an outpouring of passion, an utterance of extreme urgency, full of agitation with only slim respite in the exquisite, spiritual slow movement. Yet commentators disagree as to whether this work exhibits “Grecian lightness and grace” (Robert Schumann) or “plunge[s] to the abyss of the soul” (Mozart scholar Alfred Einstein). But there is agreement on this: that the Symphony No. 40 speaks in Mozart’s most personal voice and nearly 225 years after its completion, this masterpiece continues to have a profound emotional impact on listeners. Matthias Goerne is The Mary and James G. Wallach Artist-in-Residence.